Rick and Lori Taylor, directors of the Healing Rooms of the Santa Maria Valley, have a passion both to see the sick healed and to see the Church of Jesus Christ operate fully in the healing power of God. When not praying for the sick in Santa Maria, they travel around the United States, and internationally, holding conferences and releasing the glory. 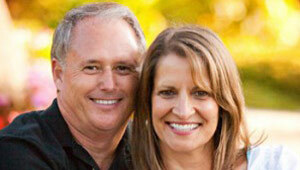 Rick and Lori serve as the Divisional Directors for North America and as the National Directors of the United States for the International Association of Healing Rooms (based in Spokane, Washington). Rick is also a board member for IAHR. They have been married since 1978, and have four sons, a wonderful daughter-in-law, and three grandchildren.